As a woman who makes her living crafting wine, Arrowood winemaker Kristina Shideler sees herself as a steward of the land. And she’s committed to letting her vineyards tell her what they want so she can craft great wine that’s also gentle on the environment. “It’s about catering to the specific vineyard blocks to get the best quality we can,” says Shideler. So Shideler is working with grapes from dry farmed vineyards and using new technology to create concentrated, intense Cabernet Sauvignon wines that are also better for the environment. Dry farming simply means growing grapes without adding additional water. 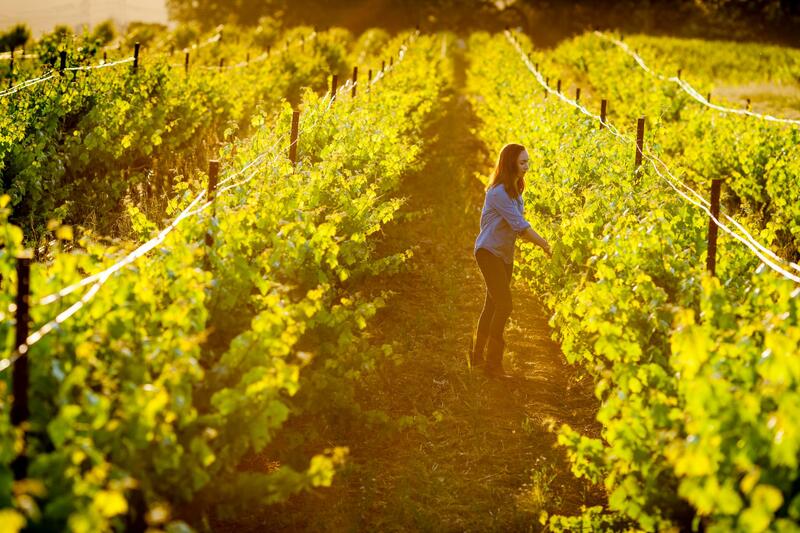 Throughout history, vignerons have dry farmed vines in Sonoma, Napa, and the Old World. People grew grapes where the soil and rainfall made it possible. It was a matter of necessity on many small family farms, where growers didn’t have the money or equipment to install elaborate irrigation systems. Frank Leeds says that’s what his uncle Roy Chavez did when they first started growing wine grapes in the Napa Valley in the 1920s. They didn’t call it dry farming back then, it was just how you grew grapes. 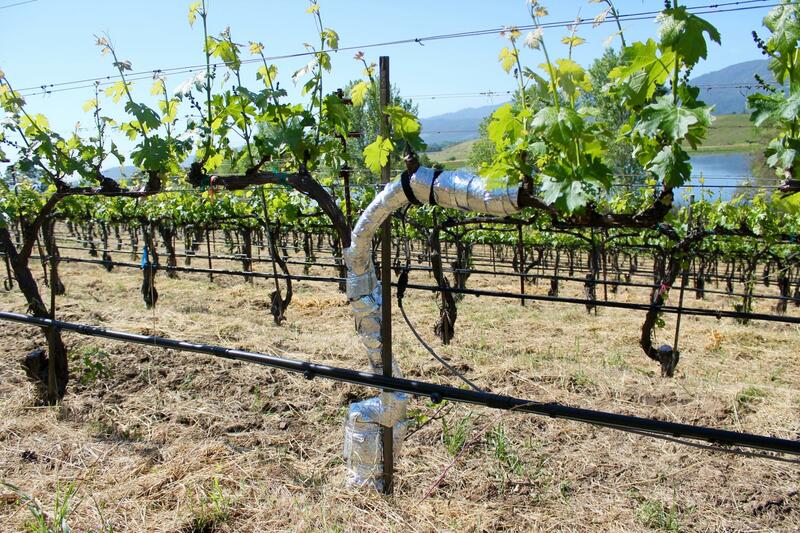 But when vines are irrigated from a drip line, the roots stay shallow and concentrate near the easy source of water. There’s no need for the plant to work, so it’s more vulnerable if that easy source of water dries up during a drought. Leeds, a past president of the Napa Valley Grapegrowers, says irrigation expanded in Sonoma and Napa as vineyards were planted in more challenging soils that weren’t ideal for growing grapes. But dry farming has come into focus as natural and biodynamic winemaking has become more popular, and young winemakers around the world revive older vineyards with strong deep-rooted vines. “If you use dry farm as a verb, not a noun, you can make your vines perform really well,” says Leeds. Thibaut Scholasch and Sebastien Payen. Founders of Fruition Sciences. But with hundreds of acres of vines, it’s tricky to know the status of every single one and how much water and nutrients it needs. That’s where innovations from a company called Fruition Sciences are allowing farmers to know exactly what’s happening inside the vine and when. The 10-year-old company founded by French scientists Thibault Scholasch and Sébastien Payen uses sap flow sensors and other technology that makes it possible for vineyards to keep the vine in balance and potentially increase yield while reducing water usage. “The theory behind precision farming is to match the site’s specific needs with any given input; we don’t want to oversupply the vines with too much of anything, including water,” says Shideler. “For high-quality Cabernet, the goal is to farm for smaller berries.” Small berries have a higher skin to juice ratio, so the wines have more complexity, concentration, and ability to age. Arrowood growers work with Fruition, as do Château Latour, Colgin, Viader and Wente Vineyards. 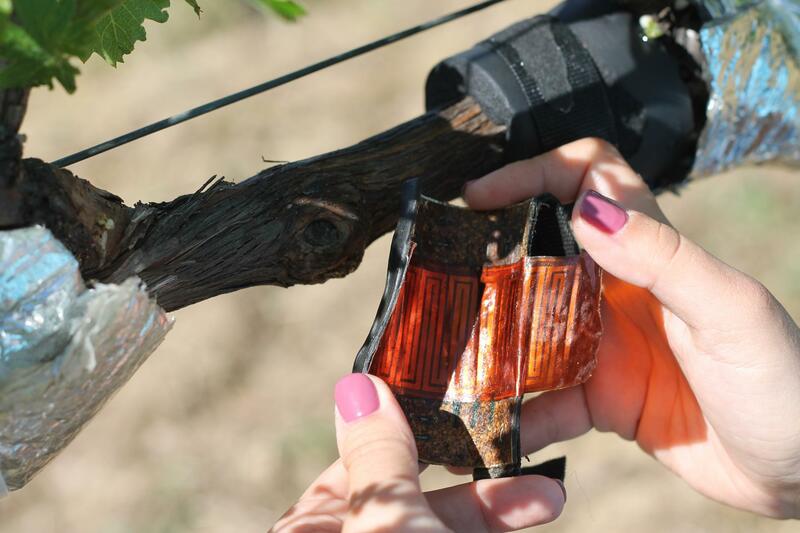 In the spring, the team walks through a vineyard and places small sensors on each vine. The sensors allow vineyard managers to monitor how the sap is moving inside, the amount of nitrogen in the plant and when it’s time to reduce water so the vine concentrates on forming grapes rather than more leaves. On a hot day, the vineyard manager might assume that the vines are thirsty and need extra water. But the sap sensors let them know that the vines have enough moisture to sustain themselves. 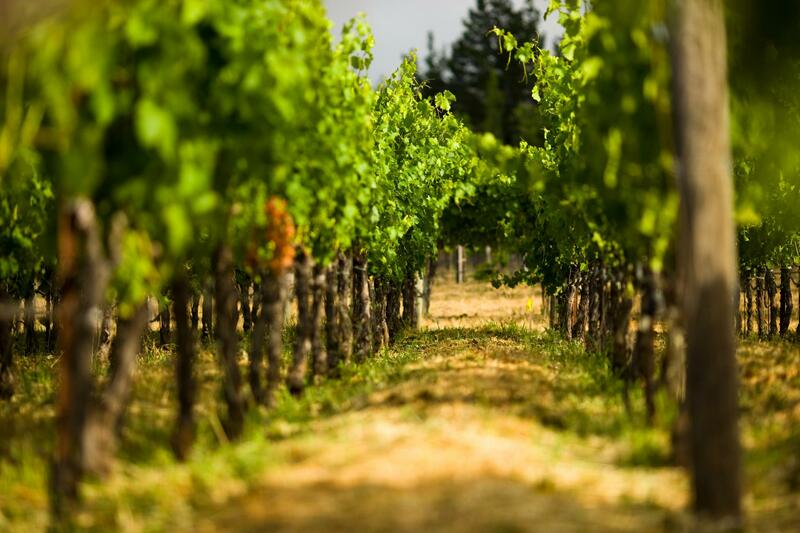 A 2014 water usage study funded by the Metropolitan Water District of Southern California found that using Fruition’s technology allowed a vineyard to reduce watering by 65 percent in blocks with sensors, compared to other blocks watered in a typical way. That worked out to 17 Olympic sized swimming pools or 8.5 million gallons of water. “We’ve had people who have been able to switch to dry farming practices,” says Brandon Burk, a data specialist with Fruition. The fruit quality from that particular dry-farmed block in Knights Valley was so high that she’s now using the juice in one of Arrowood’s more exclusive Cabernet Sauvignon blends. Just by a quirk of fate, Cabernet Sauvignon vines in Arrowood’s block of the Monte Rosso vineyard is dry farmed. The mature vines in the famed Monte Rosso Vineyard are planted at elevations ranging from 700 to 1,240 feet, so the vines have had to send roots deep into the poor rocky soil to find water and nutrients, creating the kind of stress that yields world-class wines. “When that particular block was planted, irrigation wasn’t standard practice and so the irrigation line was never put in,” says Shideler. And when Arrowood does irrigate, the water comes from Arrowood’s reservoirs that capture excess rainwater, rather than municipal sources. The trials they’re doing with dry farming, as well as organic and sustainable practices allow Shideler and her vineyard teams to identify more vineyard blocks that could thrive with less water in the near future.